I stumbled across an interesting account of the 1966 debut of the White Bicycles by the counterculture group Dutch Provos. The bikes were immediately confiscated by the police because they “encouraged theft". It's ironic that the bike sharing projects that generated a police response back then have morphed into programs run by large advertising firms today. 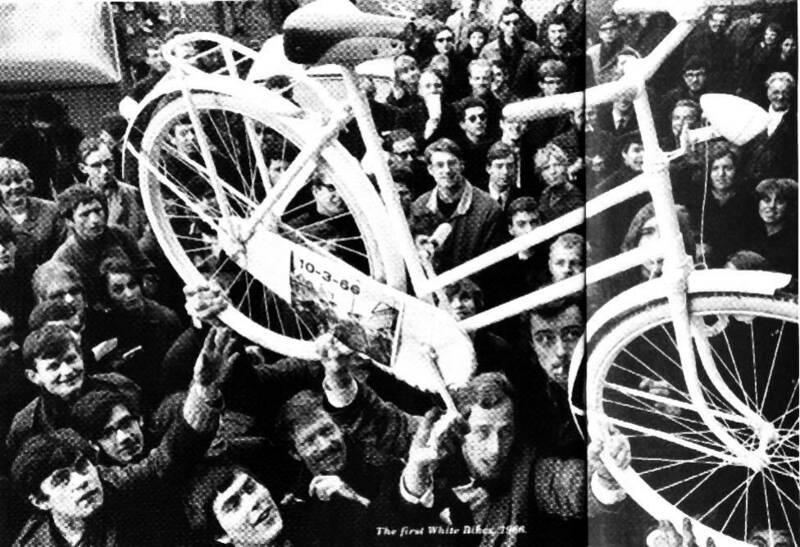 Photo of the first white bicycle in Amsterdam circa 1966.